inJazz served as the official prelude to North Sea Round Town and two weeks of jazz in Rotterdam on 28 and 29 June. During the conference, (inter)national jazz professionals enjoyed high profile panels and presentations. 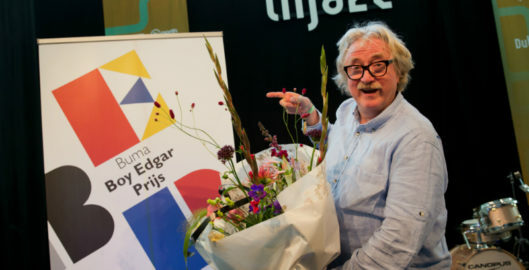 The winner of the Buma Boy Edgar Prize 2018 was announced at the end of the conference: pianist and composer Jasper van ‘t Hof. On both nights, a selection of (inter)national artists – both promising new bands as well as more seasoned groups – performed live in several venues. Over 300 meetings between musicians, programmers, labels and media took place during the conference in LantarenVenster. From musicians who showed their demo to labels to bookers who exchanged tips and tricks. The Matchmaking Sessions as well as the Jazz Pitch were fully booked. During the 13 high profile panels and presentations lots of experience and knowledge was shared. The panel ‘Jazz in Italy’ described the situation in Italy with their twenty autonomous cultural regions and their complex Italian structures when it comes to subsidies in the jazz scene. Other interactive panels were ‘Gender & Jazz: Towards closing the gender gap’, ‘Who needs a label? Do It Yourself!’ and ‘Experts on Export’. The conference was visited by 580 professionals, with a record of foreign visitors from Italy, Austria, Switzerland and other countries. On Thursday night 28 and Friday night 29 June, over 40 (inter)national acts conquered many hearts. Spread over the venues LantarenVenster, Kantine Walhalla and The Warehouse, they performed for a mixed audience of local music enthusiasts and (inter)national jazz professionals. From stimulating and energetic improvisations to dreamy settings with among others: Niels Broos & Jamie Peet, Woody Black 4, Sanne Huijbregts, Holler My Dear, Sun-Mi Hong Quintet, Hobby Horse and 3times7. New this year was the Dutch World Stage in collaboration with World Music Forum NL and Dutch Performing Arts. Selected World acts were: Lingua Franca Ensemble, Shishani & The Namibian Tales, Noam Vazana and Tabanka.